Day03: Kathmandu/Pokhara to Hengja 950: Choices of either fly or drive to Pokhara a gathering point of trekking crew. Having organized everything trek starts go after the Tibetan Refugee Camp and in the environs of Hengja for overnight camp. Day04: Hengja to Dhampus 1800m. Concerning an hour of walk that across a valley subsequently a climbing walk directs to Dhampus a spot of lunch. After having lunch continue pushing along after an effort reached at the top of the ridge offering a spectacle of peaks Machhapuchhre 6998m. Annapurna II 7937m. Today's camp will be set underneath the knoll of Hyanhja. Day05: Dhampus to Landruk 1650m. 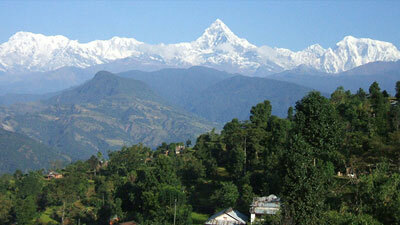 An ascending trek with a desnsely forested by rhododendrons that escorts ahead of a charming village Landruk. 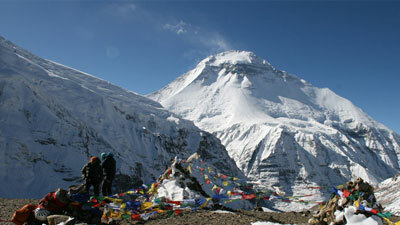 After a success of 5/6 hours of normal strolling in trek today's camp will be set- aside at Landruk. Day06: Landruk to Ghandruk 1950m. A short hiking into a virtually staircased of stones show the way to Ghandruk an outstandingly urbanized Gurung Village. 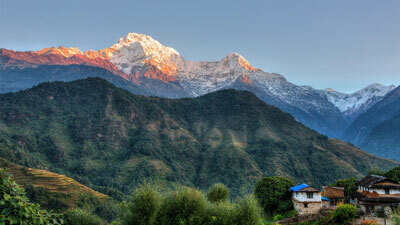 A successive ending of this day's trek camping spot of Ghandruk offers a chace of viewing on Mt. Annapurna South7219m. and Mt. Hiunchuli 6441m. peaks. Day07: Landruk to Banthanti 2774m. Something like 5 hours of trek that includes of slight climbing trail by passing terraced fields, abandoned huts into a tropical forest beset with rhododendron, orchid and Daphne provides a good chace of watching birds and inhaling pleasure of scented flowers. At he end camp at Birethanti that offers amazing landscapes of natural allures which are beyond to express as regarding this place an American trekker gives an account summerising on Birethanti as " Birethanti is the closest approximation of heaven on earth." Day08: Banthanti to Ghorepani 2823m. Assume as tougher trek reasoning to cross of Deurali Pass 3078m. Nonetheless the views seen from the routes are Mt. 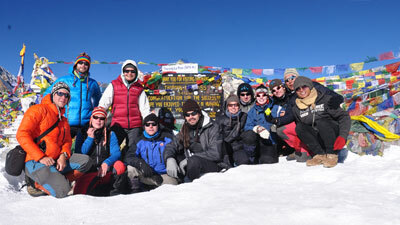 Dhaulagiri 8167m. Mt. Gurja Himal 7193m. Mt. Annapurna II 7937m. Mt. Manaslu 8156m. and Mt. Himalculi 7893m. amazingly enjoyable. Day09: Ghorepani 2823m. 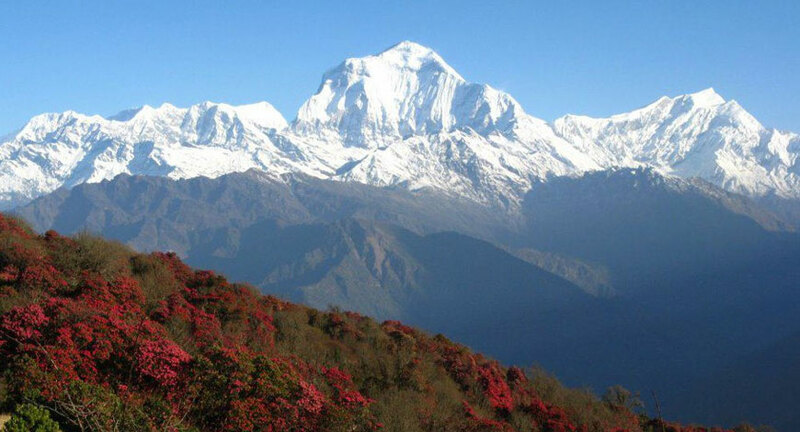 A day for excursion trip to the top of Pun Hill as it is regarded as an exceedingly impressive high point in Nepal from where a series of mountains are visible like Dhaulagiri Ranges , Gurja Himal to the east all Annapurna Ranges , Mt. Manaslu 8156m. Mt. Hiunchuli 7893m. Mt. Machhapuchhre 6998m. including countlelss other peaks. A pyramid of Mt. Annapurna South 7219m. 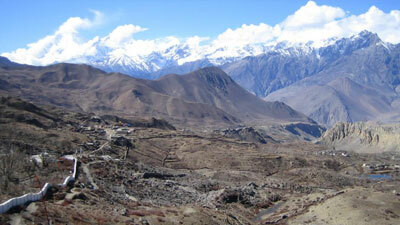 towering upper part while below lies the deepest gorge in the world the Kali Gandaki Valley . 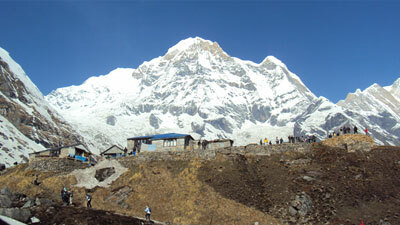 After enjoying the day get back to Ghorepani for overnight camping. Day10: Ghorepati to Birethanti 1040m. A relaxing descends, shich escorts downwards to Tirkhedhunga 1524m. stop a while for lunch. After a constant walk along the way with caravans of donkeys laden by Tibetan and Mustangese businessmen. A lot of hotels and teashops are available on the trail run by an ethnic group of Nepal known as Thakalese. After a 5/6 hours of trek camping in the bank of Madi RiverNear Birethanti. Day11: Birethanti to Naudanda 1400m. An almost last ascending trail leads to Chandrakot 1562m. After takking of one and half hours of approximate time a continual walk to British Agricultural Farm on the way then trail starts a slight drop down ahead of Naudanda. And a regular camp fixing point at the solitary ridge of Naudanda . Day12: Naudanda to Pokhara 850m. A normal walk takes a continual heading to Kaski of the essence in the history of Nepal . The patriarcjh of the existing King of Napal was the ruler of this place. After by passing this historically signigicant land of Nepal that totals roughly 5 hours of time ends whole trekking program arriving at Pokhara. Day13: Pokhara to Kathmsndu. 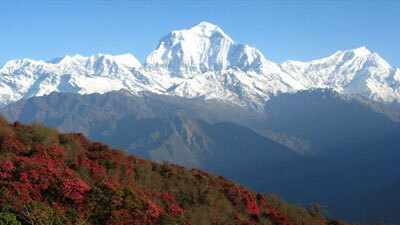 Fly or drive back to Kathmandu and half day sightseeing and in the evening a farewell dinner. Day14: Transfer from hotel to the airport for final departure.